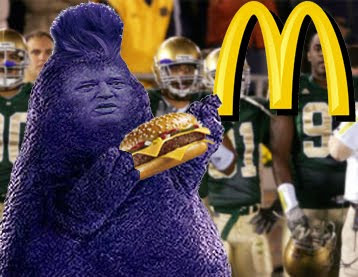 Golden Dome or Golden Arches? 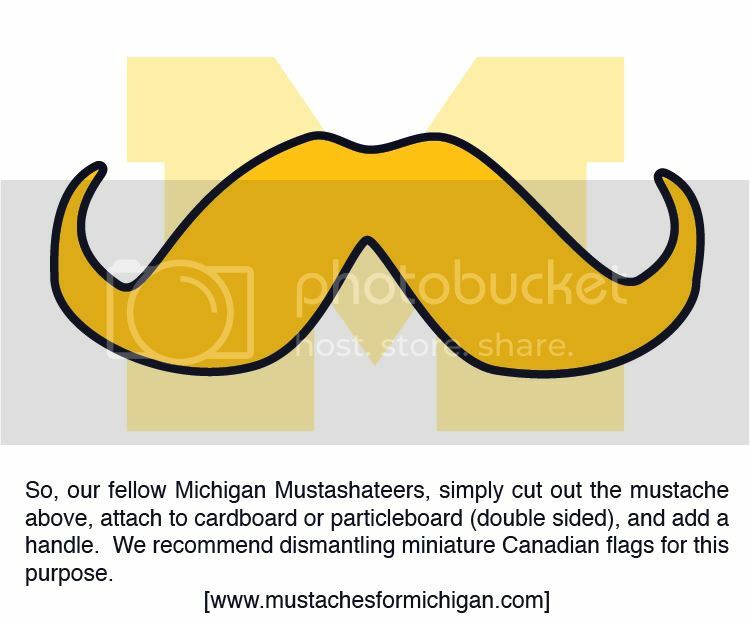 Last week during Western Michigan, we came together, bonded by our Mustaches for Michigan, and shot a glorious ray of positive energy into the cosmos. We were gifted in return with our first home opener win since 2006. And thus we established the powerful force of the 'stache. Even the Michigan Daily took notice. Do Not Mess With The Mustache. The plan was elegant in its sheer simplicity: 1. Grow a beard in August. 2. 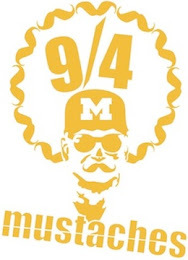 Shave it into a Mustache for the Opener on the 5th... Success! Michigan 31, Western Michigan 7. Then cut it out. Now fashion it to a stick. This is your mustache. Now wield it proudly! Tell your friends. 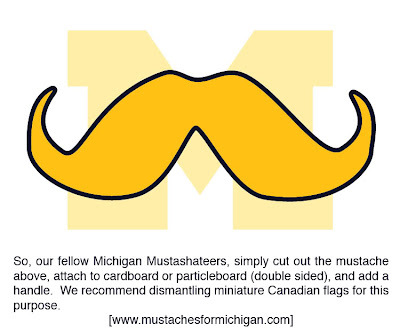 Make a few more and give them to your neighbors in the Student Section, or pass them out at your friendly alumni bar. Better yet, utilize the sweat shop that is your pledge class and force them to manufacture 100 apiece. May the Mustache Rise and Guide Us to Victory Yet Again! GROW BLUE!